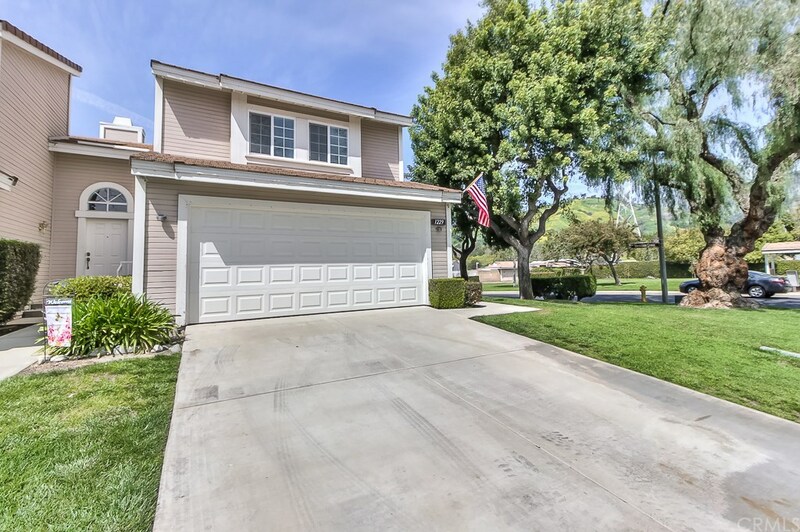 Nestled in the Foothills of San Dimas this gorgeous home offers so much! Situated on a corner lot this home has no neighbors to the right, walking distance to the pool area. Seller's have left nothing untouched. Perfect for casual family living or easy entertaining this home offers an open Floorplan, Vaulted ceilings throughout, Fireplace place with custom wood Hearth and views from this room make you want to sit and enjoy this space. The kitchen is opposite the Dining area, in a large, open space that automatically lends itself to entertaining and family living. Restroom downstairs has been redone. Tile-wood Flooring throughout the downstairs, home features Newer windows. Walk upstairs to an open hallway that leads you to all three bedrooms. Master Bedroom is a true refuge offering privacy and a sense of relaxation and rest. Porcelain tiles and Castaic polished finishes on this walk-in shower's draws your eye as soon as you enter the ensuite bathroom complete with large tub ledge to hold shampoo, soap, and loofah, His and hers showers, Moen brushed nickel hardware and Double Farmhouse sinks. Second Bedroom is a Sweet nursery with custom accent wall, bench sitting area and other upgrades. The second restroom includes a jacuzzi tub and Moen brushed nickel hardware. The yard is the perfect setting to sit and enjoy the mountain Views from this spot. Low maintenance plants in the back yard, artificial grass in the backyard, and side gated area for access to back yard.